During his 25 years as an educator, Dave Shafer has found creative and effective ways to get students outdoors to learn about the world around them. He attended his first PLT workshop in 1993 and has used PLT hands-on activities with his students ever since. At Skiles Test Elementary School, he teaches a range of STEM topics and is responsible for the school’s 10 acres of outdoor space. Dave holds a B.S. in Elementary Education from the University of Indiana. In 2006, through a Lilly Endowment Distinguished Fellowship Grant, he taught science in Costa Rica and showed teachers how to use hands-on lessons with their students. Dave was named National PLT Outstanding Educator in 2016. Alice Garcia uses PLT with her multi-ethnic fourth grade classroom at Will Rogers Elementary and has trained the entire staff at the school in PLT. She is known for providing quality environmental education teaching that meets the state’s core curriculum standards. She works with a nearby nature center to bring her students on day and overnight trips and partnered with the center to construct an outdoor trail and garden on the school campus. She also conducts activity-based, hands-on learning during the year-round school’s intersessions. Alice was named National PLT Outstanding Educator Honoree in 2016. Jennifer Edwards is the lead science teacher at her elementary school. Since participating in a program to bring environmental education into urban settings in 2009, she has worked hard to create an atmosphere in which students are able to find some aspect of science they love. From Day 1 in the school year, her students are exposed to PLT lessons, and she seeks out opportunities to take her students on field trips where children learn about forest ecosystems, help remove invasive species, and explore green careers. She also works with other teachers at her school and throughout the district to help bring environmental education into more classrooms. Jennifer was named National PLT Outstanding Educator Honoree in 2015. Karen Christenson uses the environment as a way to teach life science. She uses Schoolyard Safari and other PLT activities to introduce students to outdoor exploration. According to the Minnesota Comprehensive Assessments, 87% of students at her school have reached or exceeded proficiency in science. From 2003 to 2007, Karen worked at Bruce Vento Elementary School, where she taught K-6 science enrichment and launched the school’s first science fair. Through the Minnesota School Forest Program, Karen helps teachers use their school forest as an outdoor classroom and apply PLT to teach math, art, science, language arts, and social studies. Karen also serves as a lead instructor for summer academies that show PreK-12 educators how to integrate forestry education into their core curriculum. Karen is a leader in environmental education throughout Minnesota who has received grants to develop environmental education opportunities and action projects for both teachers and students. Since becoming involved with PLT in 2006, Karen has become a PLT facilitator and conducted more than 30 workshops. As an adjunct instructor at Hamline University and guest speaker at the University of Minnesota-Duluth, she offers PLT training to a variety of audiences. She has presented PLT at conferences, with the media, and with legislators in Washington, DC. Karen was named National PLT Outstanding Educator in 2014. Cynthia Lawhon develops activities and programs to accelerate learning for students in grades 2 through 5 at her magnet elementary school. Her goal is to offer enrichment that reaches across the curriculum and goes above and beyond what is offered in the classroom. Since her earliest days as a teacher, more than 40 years ago, she has instilled a commitment to the environment in her students. After she successfully wrote a grant for a new playground and outdoor learning area, she led the way to make the school a PLT certified school, helping to train faculty in PLT, develop ways to use the outdoors for learning, and take the lead in other environmental activities. Cynthia was named National PLT Outstanding Educator Honoree in 2014. Augustine (Augie) Frkuska teaches at a bilingual school in the Judson Independent School District. There, he works with every teacher to integrate PLT activities into the curriculum. He contributes to the annual “Science in the Park” event, which exposes students to environmental education at a nearby city park, and he has been instrumental in helping classes take advantage of a new outdoor learning center on the campus. Augie is involved with the Mentoring Science Teachers program through Our Lady of the Lake University and has been formally recognized for his talent as a mentor. He also helped to initiate the Area-Alamo Children Organized to Replace Natives (ACORN) project, which involves students from seven schools. Augustine was named National PLT Outstanding Educator Honoree in 2014. Netosh Jones has introduced students, the community, and her fellow teachers to environmental education through her involvement with PLT. She worked with the National PLT office to create multiple school gardens that are used as outdoor learning areas and hosted a National Day of Service. She continually provides preK-5 students with real-world experiences related to the environment. She is a member of the Next Generation Science Standards writing team and is a Sally Ride Fellow and an ExxonMobil Mickelson Fellow. Netosh was named National PLT Outstanding Educator Honoree in 2013. 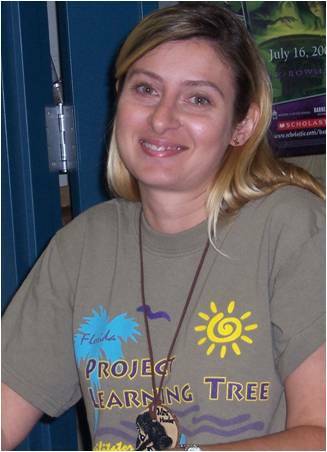 Rebecca Wolfson taught grades 1, 2, and 4 at Lake Butler Elementary School from 2002-2012, where she participated in the pilot for the national PLT GreenSchools program. With her assistance, the school took the lead in establishing Union County’s first recycling program. Earlier in her career, she was an elementary music teacher, and in 2012 she returned to teaching music, specifically guitar to high school students, through the Florida Virtual School. She remains active in PLT and draws from the PLT Early Childhood curriculum to explore the connections between the environment and music. She has participated in and facilitated environment-related summer camps and field trips and has been active with Union County 4-H.
Rebecca was named National PLT Outstanding Educator Honoree in 2013. Brooke Mohr has taught for more than 25 years in almost every elementary grade, as well as gifted instruction and early intervention for at-risk students. She now teaches at Medart Elementary School in Crawfordville, Florida. Each year, she involves local organizations and parents in a “PLT Week” during which each class participates in various activities surrounding a central theme to grow environmental awareness and stewardship in both her students and the entire school community. 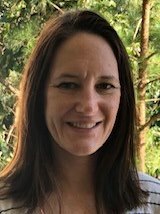 She has taken a leading role to promote environmental education throughout Wakulla County, the first in the state to have all its elementary schools designated as Florida PLT Schools. Her teaching philosophy is based on her belief that teaching students to care about the environment creates positive change in schools, at home, and in the community. She became a National Board Certified Teacher in 2006 and was named Florida PLT Educator of the Year in 2011. Brooke was named National PLT Outstanding Educator in 2012. 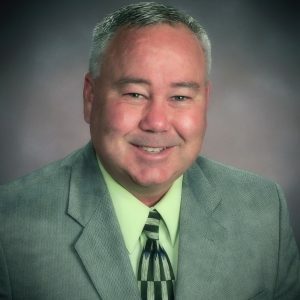 Doug Chapman came to Wolford Elementary School in 2007, after teaching in Texas and California. 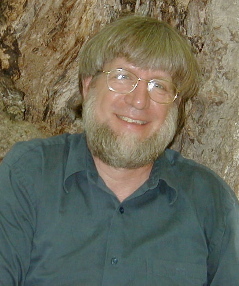 He has established a reputation as a teacher of excellence with a strong commitment to environmental education. He founded an environmental club for students in grades 4 and 5, with the ultimate goal of helping Wolford Elementary become a PLT GreenSchool. With PTA support and a student-led Green Team, the effort has already resulted in measurable improvements in energy usage, waste reduction, and cost savings. Doug is involved in the Texas Conservation Institute and many other environmental programs in the McKinney community. Doug was named National PLT Outstanding Educator Honoree in 2012. 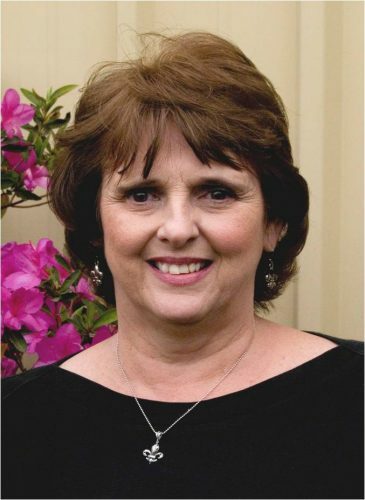 Cindy Kilpatrick has been a leader in incorporating environmental lessons into every classroom at Oil City Magnet School in Oil City, Louisiana. As the Environmental Science Facilitator, she coordinated more than 100 field trips in 2009-2010 alone, helping students learn about connections to the environment at a grocery store, a landfill, a hospital, and a power plant. Using PLT to anchor the environmental education program, Oil City has become the highest performing Title I school in the state. Cindy was inspired by PLT to help students create a nature trail, garden, and bird feeding and watching stations, among other projects. Cindy and her students use the school greenhouse to hold a “plant camp” each year where community residents can store their houseplants for the winter. The students use the fees they collect to purchase gardening supplies. A teacher for more than 34 years, Cindy led the initiative to make Oil City a PLT-certified school, and Oil City is now part of PLT’s GreenSchools pilot program with a Learn and Serve grant. She also teaches pre-service teachers at Louisiana State University in Shreveport to use PLT. Cindy has spoken at numerous state and national conferences, and she regularly hosts visitors from other schools to learn from Oil City Magnet School’s successful model. Cindy was named National PLT Outstanding Educator in 2011. Jennifer Richardson is a champion of environmental education in Arkansas. She serves on the Arkansas Environmental Literacy Plan Committee, which is charged with developing a plan for the future of environmental education in the state. She uses PLT with her fifth graders and leads many school-wide greening efforts, including recycling, composting, and developing a nature trail. Students became so enthused about working on the trail during recess that recess-related discipline problems declined and standardized science test scores rose. Jennifer also coordinates school-wide programs such as National Green Week, Earth Day, and an Environmental Science club, as well as a community-wide EcoFest. Jennifer is a National Board Certified Teacher and was a finalist in the 2010 Presidential Award in Science for the State of Arkansas. She also coordinates a monthly publication called Wooster Wild in which teachers share instructional strategies and resources. When she participated in the George Washington Teacher Institute, she even developed a lesson plan on Washington’s life as a farmer and environmentalist that incorporates PLT information about conservation during the 18th century! Jennifer was named National PLT Outstanding Educator Honoree in 2011 and 2010. Jennifer Piccinini’s first introduction to environmental education in the fall of 2007 whetted her appetite for more. In 2009, she worked with Seeds of Change (producers of organically grown vegetable, flower, herb, and cover crop seeds) to start a school garden, and also helped initiate recycling and composting programs. She became a PLT facilitator and now regularly hosts PLT workshops at her own school, Coral Academy of Science Charter School, and neighboring schools. She was first an attendee and is now a planner and presenter for the PLT/Sierra Nevada Journeys’ annual LIFE conference, even getting her entire family involved. She is considered a dynamic and powerful communicator who possesses the gift of making intricate subjects understandable. Jennifer was named National PLT Outstanding Educator Honoree in 2011. Brandy Vavruska was first introduced to PLT as a student at Black Hills State University in 2003. The program reinforced the love of outdoors she gained from growing up on a ranch. Since then, she has attended other PLT workshops and spread her enthusiasm for PLT with other teachers. She also shows student teachers working in her kindergarten classroom at West Elementary School in Spearfish, South Dakota, how to use PLT. She helped pilot PLT’s Early Childhood curriculum in her classroom and provided useful feedback to improve it. Taking students outside, having them learn about their natural environment, and carrying those experiences across the curriculum are important facets of Brandy’s teaching. Her students are regularly featured in the local newspaper as they experience PLT at parks, on the school grounds, and in the nearby National Forest. Brandy was named National PLT Outstanding Educator Honoree in 2011. Debra (Deb) Wagner is recognized for her expertise and enthusiasm in bringing the study of the environment not only into her fourth grade classroom, but also throughout her entire school. 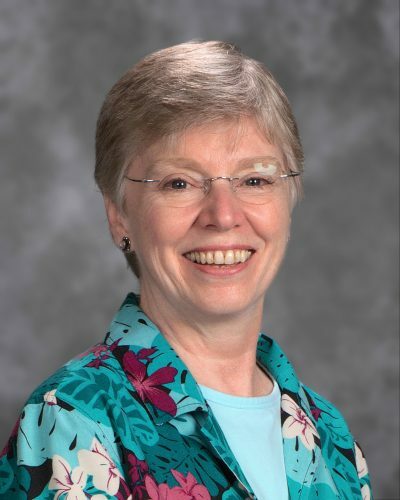 A teacher for more than 28 years, she led the initiative to make St. Paul Lutheran School in Lakeland, Florida, a PLT-certified school. Thanks to her efforts, the school also became a Nationally Certified Schoolyard Habitat and is part of the national PLT GreenSchools program. Deb also coordinates an annual “Celebrate Creation,” which involves the entire PreK-8 school in PLT activities that teach about the environment through hands-on learning. Deb has created an after-school science club that initiated school-wide recycling, hydroponics, and butterfly gardens. Her students raise milkweed seedlings for grade 1 students’ home butterfly garden projects; construct rain barrels for campus and home use; and make vegetables available to local families in need. Through a partnership with Polk County Cooperative Extension Service, Deb also helps teachers at other elementary schools and their students install rain barrels and construct gardens. 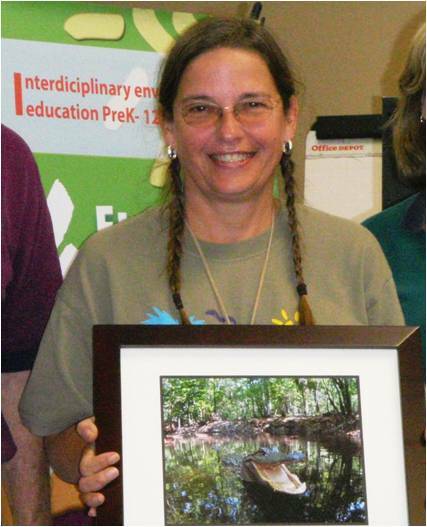 In addition to her work at St. Paul, Deb is an environmental education leader in Florida. For example, she serves as a mentor to PLT workshop facilitators and participates in initiatives at the University of Florida to use PLT to improve student literacy. 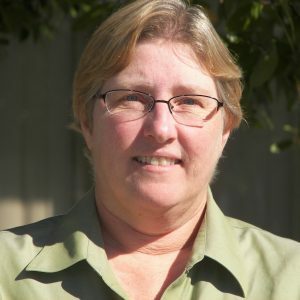 Deb is a long-standing and active member of many organizations, including the League of Environmental Educators in Florida, the Audubon Society, and the Native Plant Society. She has received many grants for her projects and, in 2007, was the Florida Agriculture in the Classroom Elementary Teacher of the Year. Debra was named National PLT Outstanding Educator in 2010. A North Carolina resident who teaches in South Carolina, Denise Trufan is active in environmental education in both states. She is a certified Environmental Educator in North Carolina, where she volunteers at state parks and other facilities. In South Carolina, in addition to her work at Indian Land Elementary School, she often volunteers at workshops and conferences promoting PLT to other educators. As Indian Land’s science lab facilitator, Denise helps teachers and students in grades K through 5 to enhance learning with hands-on activities, many based on PLT. She is planning PLT workshops for the 85 teachers at Indian Land Elementary, bringing the school one step closer to becoming a “South Carolina PLT Certified School,” which means PLT will be used to strengthen learning throughout the entire curriculum. She has also organized many PLT trainings for teachers at other schools. Denise has used PLT activities to increase the school’s performance on science standardized tests. For example, she created a Discovery Box containing nature items, such as acorns and bark, that students use to conduct both quantitative and qualitative analysis. They also go outdoors as often as possible to learn about tree characteristics and plant growth. Last year, Denise launched a recycling program that both saved the school thousands of dollars and enthusiastically involved students in all grades. In one year, they recycled more than two tons of paper, more then 4,000 plastic bottles, and thousands of aluminum cans. Her after-school club, the Ecowarriors, performs environmental plays for the school and community, researches environmental issues, and designs gardens that have been certified as Backyard Habitat by the National Wildlife Federation. Denise was named National PLT Outstanding Educator in 2009. Deborah (Deb) Todd teaches language arts and science at Slate Hill Elementary, where she created an outdoor learning lab that she and other teachers actively use with their students. Her students often make field trips to the lab to conduct water and wildlife monitoring, sharing what they learn with students at other schools or with younger students at their own school. Deb co-facilitates an online class through Miami University of Ohio that focuses on how the use of PLT affects students’ academic achievement. She also makes presentations and teaches how to use PLT in many other state and national settings. 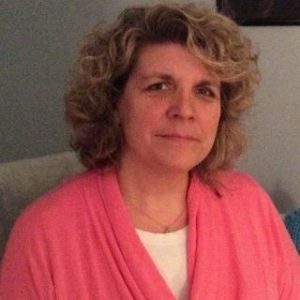 As a member of the Ohio PLT Board, Deb has developed new and improved evaluation tools for PLT workshops, strengthened facilitator mentoring, and created a facilitator blog. 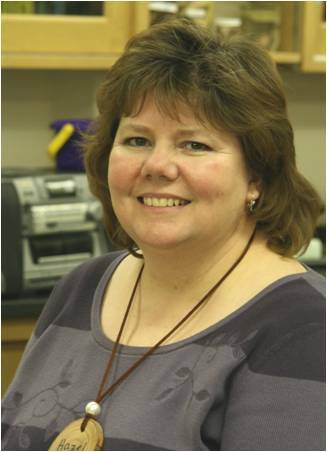 Deb was named National PLT Outstanding Educator Honoree in 2009. Elizabeth Burke has been instrumental in enriching the learning environment at Wolftrap Elementary School by organizing HOWL—Helping Our World through Learning. She worked with Wolftrap administration and teachers to ensure that the enrichment program connects to state science standards. Using PLT, she trains parents to be classroom docents and conducts PLT workshops for local area teachers. She also involves Scout groups in service projects on school grounds. In her encounters with other schoolyard garden coordinators, she has advocated incorporating PLT into HOWL and Wolftrap’s gardening efforts. In addition to being a PLT facilitator, she is a Fairfax Master Naturalist and a certified Environmental Educator in North Carolina, where she serves on the board of the Environmental Educators of North Carolina. Elizabeth was named National PLT Outstanding Educator Honoree in 2009. 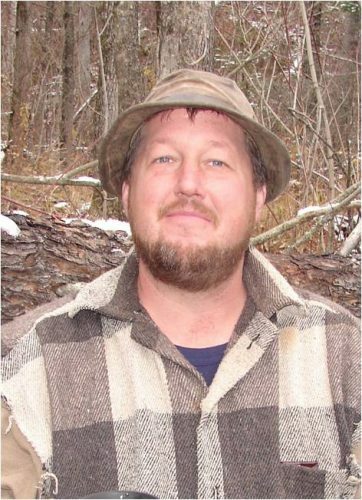 Through the “E Club” (Environmental Club), Daniel Edmiston involves his students in creating and maintaining outdoor classrooms and landscaping the school campus. Last year, his students gave each teacher a butterfly chrysalis harvested from the school gardens so that each class could witness a butterfly emerge. Dan has been a consultant for outdoor classrooms at nine different schools in Shelby County. At his own school, E.A. Harrold Elementary, Dan also organizes a science fair, a family science night, and an Earth Day Celebration at which over 40 natural resource professionals and conservationists are invited to share their craft with the whole school. All the teachers now utilize the outdoor classrooms as a result of Dan’s introduction to environmental education. Dan was first trained in PLT in 1996 and received further training in 2006 when he attended a week-long Teacher Conservation Workshop. 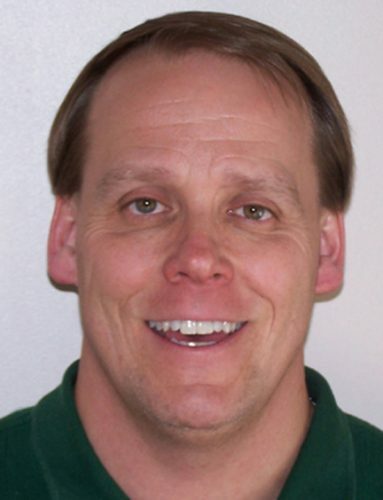 Dan was named National PLT Outstanding Educator Honoree in 2008. Although it is located inside city limits, Lakewood Elementary School’s campus consists of 88 wooded acres and a seasonal stream. Knowing that this environment would make an excellent classroom, Sandy Watson attended PLT and other environmental education workshops to obtain the tools, training, and resources she needed to take students outdoors. Over the past five years, Sandy has acquired sponsors, materials, and labor to create an outdoor classroom, a nature trail with two outdoor learning stations, a butterfly garden, a secret garden, and a vegetable garden. Teachers, parents, local businesses, and students have all gotten involved. 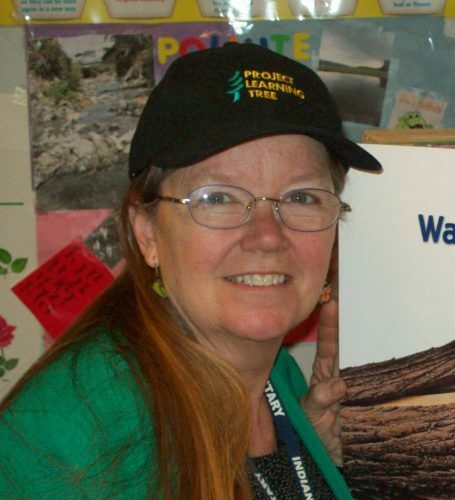 Sandy invites natural resource professionals to visit her school to teach PLT and other environmental education lessons outdoors to provide students with a real-world understanding of the forest and its realm of benefits. In November 2006, the Alabama Wildlife Federation certified Lakewood as an Outdoor Classroom/Schoolyard Habitat (one of only 11 in Alabama). 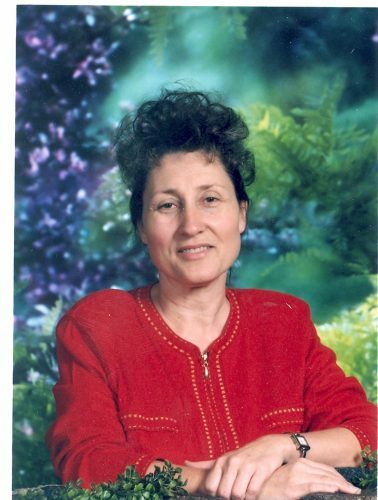 Sandy was named National PLT Outstanding Educator Honoree in 2007. Kari Abbott volunteers two to three days a week in two public schools and one private school in Williamsburg and James City County, Virginia. She uses Virginia Cooperative Extension’s 4-H Junior Master Gardener Project, for which she is the volunteer chairperson, to teach an in-school science adjunct that infuses environmental education into the first and third grade courses of study. Seven first grade classes and eleven third grade classes, a total of 390 students, participate in year-long PLT-based programs developed by Kari that use experiential learning to teach important science facts and inspire children to care for the environment. W3 [Water, Wetlands, and Wildlife] and U for first grade students is woven around 18 PLT activities; the third grade program Cycling Through Third Grade uses an additional nine PLT activities. Kari leads each PLT activity in every teacher’s classroom, giving teachers and student teachers personal training in PLT without having them miss class time. She has received several grants to support these curriculum programs and fund environmental field trips, as well as literature donations to support PLT’s reading connections. 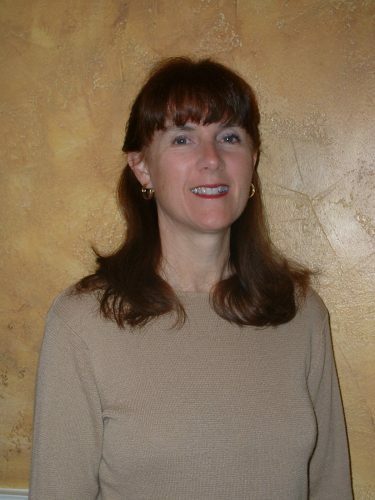 Kari was named National PLT Outstanding Educator Honoree in 2007. Jane Thornes teaches fourth grade at Heyburn Elementary School in St. Maries, Idaho. She and her forester husband, Jim, own, manage, and live on Pettis Peak Tree Farm, south of St. Maries. Jane makes full use of this 270-acre working forest as an outdoor classroom. She uses PLT and other environmental education activities to give all her visitors—her own students, other youth, and adults—a better understanding of a well-managed forest. Jane regularly takes her own class on other field trips, for example, to a local stream to study water quality. She has received grants for water testing equipment and recruits professionals from the U.S. Forest Service and Idaho Department of Lands to help students conduct science experiments. Jane uses PLT’s Awareness, Knowledge, Challenge, Action (AKCA) learning process to teach real-life lessons. After noticing dead and dying subalpine fir trees along a highway, Jane worked with the U.S. Forest Service to identify the balsam wooly adelgid as the likely cause and set up a research project for her students. Through indoor and outdoor research, Jane’s students learned that this tiny aphid-like insect is spreading to grand fir trees, a valuable timber species in the area. Jane inspired her students to collect scientific data from study plots and send the information to the U.S. Forest Service to help it address the problem. Jane was one of three educators in Idaho selected to correlate all K-12 activities from PLT, Project WILD, and Project WET to Idaho Achievement Standards that are now available in a searchable online database hosted by the Idaho Department of Education. Jane has been a PLT facilitator since 1999. 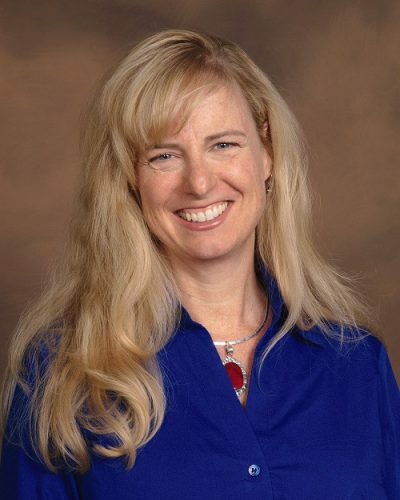 She has lead nearly 20 workshops instructing forestland owners, teachers from Idaho, and Girl Scout leaders from across the United States, Canada, and the United Kingdom how to use PLT to explore the environment with youth. Jane encourages other tree farmers to conduct tours on their properties and use PLT to teach the importance of environmental stewardship. Jane was named National PLT Outstanding Educator in 2006.